Finally, I could understand the collective willingness shared by different actors to promote and enhance this richness, whether it comes from state authorities, ministry, the National Wine Agency, whether from the scientific community, universities, research centers, or economical actors such as wine makers, and ExpoGeorgia. Hvino News: Prior to WinExpo, OIV has been gradually building up cooperation with Georgia, which included high-level events in France. Does OIV have any standard set of criteria, or procedures, which allows developing cooperation with its member countries? 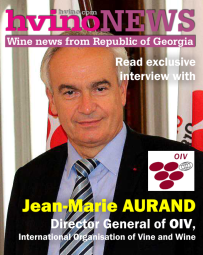 J.-M. Aurand: Georgia is a very active OIV’s member. Several experts are engaged in different OIV’s working domains. In 2010, Georgia has organized successfully the OIV World Congress of Vine and Wine in Tbilisi. For the second consecutive year Georgia has organised in Paris at the OIV’s headquarters a Georgian wines’ presentation [read more here and here - HN]. And I don’t forget, after all, that the OIV concedes its patronage to the International Wine Competition Georgia, which has gathered this year more than 100 wine samples coming from 5 different countries. As a matter of fact it was a Georgian wine produced according to the traditional qvevri method that is placed in the top of the awarded wines. Hvino News: How can you characterize the current place of Georgia among the OIV members? Are there any further “steps of the stair”, which Georgia must “climb”? 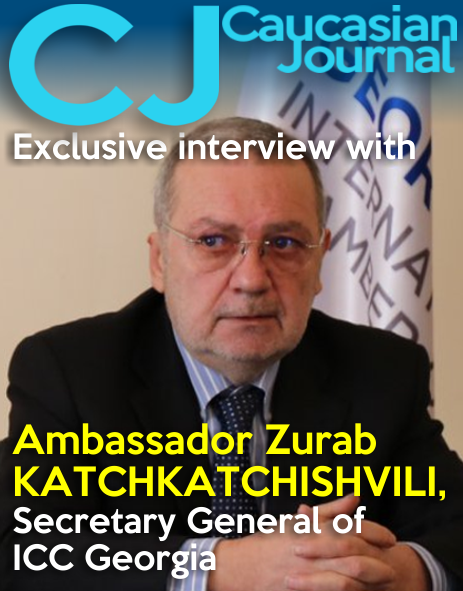 J.-M. Aurand: The viti/vinicultural sector of Georgia has seen significant growth, with development and awareness on an international level being part of a strategic government plan. 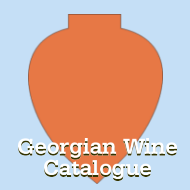 Historically, Georgia is one of the world's most ancient vine and wine-growing areas. Vines have been grown there for thousands of years, in ideal geological and climate conditions. The oldest seeds, found in various parts of the country, date back to at least 8000 BC and belong to the Vitis Vinifera species. Today, 525 native vine varieties are grown in Georgia. Georgia has a considerable involvement in the OIV's activities since the World Congress in Tbilisi in 2010. And there’s a resurgence of Georgian wines. Small winegrowers, cooperatives and independent wineries rival one another in terms of quality. Hvino News: We know about the strong points and uniqueness of Georgian wine culture. But Georgia is facing many challenges as it is making its way in the highly competitive wine market of the world, and EU in particular. This is a difficult way, but many countries have walked this way before, so lessons should be learned. 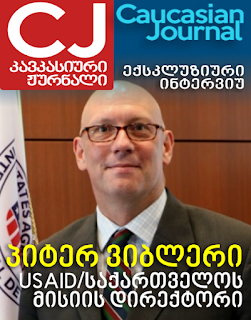 Are there such lessons in other countries, which may be relevant to Georgia? Are there any typical mistakes, which you may warn Georgia against? By permanent quality and added value research. Resuming, the maintaining of a good balance between tradition and modernity, which shall keep part of the diversity and identity of Georgian wines. 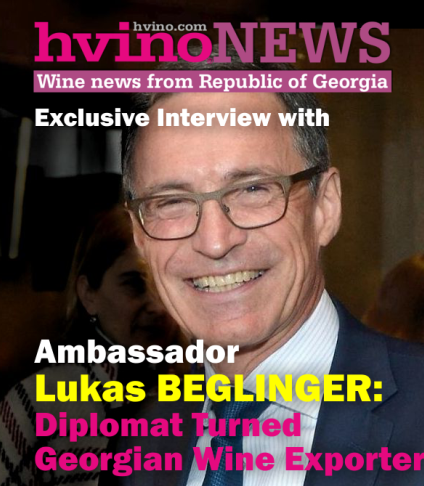 Hvino News: We do not want this interview to focus on Georgia only. You have tremendous experience both on international associations and in the government institutions. What do you think about the relationship between the state and private business in the wine-producing countries? Should there be a “wine strategy” on the country level? J.-M. Aurand: In most countries the State accompanies the viti/vinicultural sector, determining at first the regulations for the profession and often supporting with financial initiatives the different actors: supporting research, helping production investments, etc. But in general, the State doesn’t replace the economical actors who have the responsibility of producing good products and sell them. J.-M. Aurand: Ever since a quality wine is produced, answering to consumers’ expectations, it is very important to promote it. On that side, I notice that the National Wine Agency is very active: I mention the Georgian wine presentations at the OIV’s headquarters and the fact that Georgian wines are present in most of the international wine fairs. A good example was very recently at Vinexpo in Bordeaux, the Georgian stand was very visible. Hvino News: An insight into future – what are OIV’s goals, and possible threats? J.-M. Aurand: In the last General Assembly of the OIV it was formally adopted the 2015-2019 Strategic Plan: the Organisation's roadmap for the next five years. 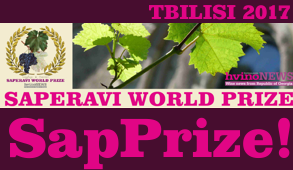 This plan takes into consideration major developments in the viti/vinicultural sector: an increasingly globalised and internationalised market (2 out of every 5 bottles of wine consumed globally are imported), growing competition and new expectations from consumers and the general public. In this context, "it is important to identify good practices and rules that preserve the stability and quality of products in order to ensure fair trade and to respond to consumer expectations in terms of product quality, health protection and transparency. This strategic plan also tackles new issues such as the impact of climate change and the promotion of sustainable viticulture. - to help protect the health of consumers and to contribute to food safety: by specialist scientific monitoring, making it possible to assess the specific characteristics of vine products, by promoting and guiding research into appropriate nutritional and health aspects, by extending the dissemination of information resulting from such research to the medical and healthcare profession. Hvino News: How do you see the future of Georgian wine – will it find a specific niche, globally and within the OIV framework? 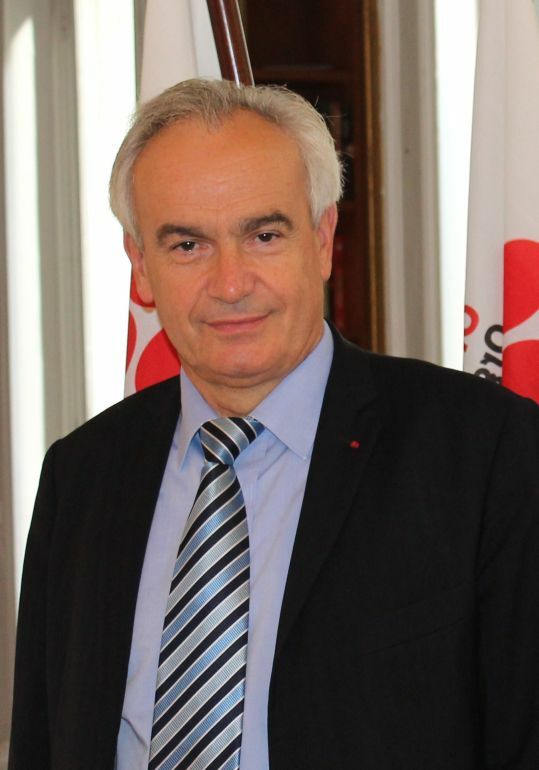 J.-M. Aurand: Georgia, with an annual production of over a million of hectoliters of wine, of which 40% is exported, is a significant actor of the wine sector. The diversity, quality and strong identity of Georgian wines are precious assets. I’m very confident that in future, the Georgian viticulture will know how to combine harmoniously tradition and modernity, I’m sure about it. Hvino News: Thank you very much, Mr. Aurand, for taking time to answer our questions. We hope to see you again soon in Georgia. The International Organisation of Vine and Wine (acronym OIV, from French language name L'Organisation Internationale de la Vigne et du Vin) is an intergovernmental organization which deals with technical and scientific aspects of viticulture and winemaking. One of the activities of OIV is the compilation of global statistics within its field. OIV is based in Paris.